Stilettos has always been more than just a conference, and over the last few years we’ve been praying, and seeking God’s leading, to gather together more often than one day a year. We believe now is that time, therefore we’re really excited to announce our very first Stilettos Worship Night on Saturday 10th November 2018 at Plymouth Christian Centre. 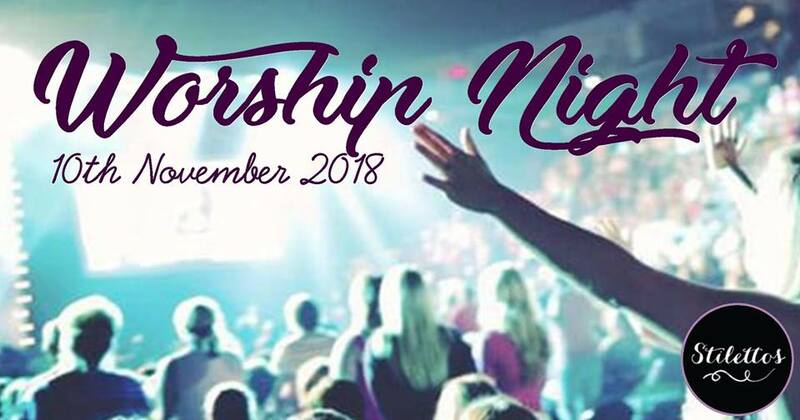 We are calling together all ladies from across the region to gather in abandoned worship, seeking God through song, prophecy and testimony, with worship lead by the incredible Linda Nicholls along with the Stilettos Worship Band. This promises to be an amazing evening of basking in Gods presence and being sent out refilled to make a difference in our homes and communities. Tickets are just £2 and are available now. Interest for this event has been very high, therefore we encourage you to book your place now so as not to miss out.